We will print your name, company name and or custom details on heat shrinkable cable labels. Simply type in your details below, Note that a maximum of 50 characters apply. Our custom made 4K 12G UHD Video Cable is our next generation in 75Ohm coaxial transmission. 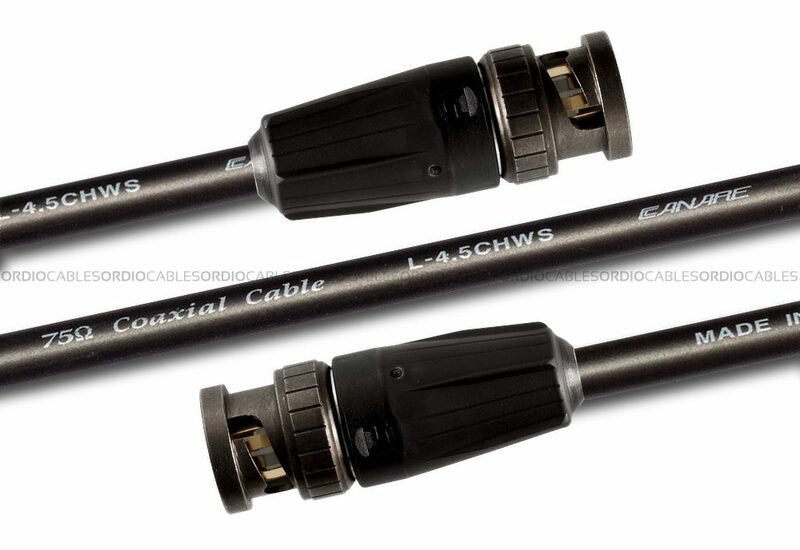 The demand for such a high performance broadcast grade cable is rapidly increasing. We offer a few variations of 12G UHD Video Cables, the main differences being the type of Canare and Belden cable used, which is more critical than you think. Mobile video operators and streaming services are now using 4K UHD Video Cables and require the cable to be flexible and deployable. In order to achieve this the cable itself needs to be a stranded core coaxial cable. The downside to this is the distance of which 4K/12GB can be transmitted without signal degradation. In addition to this, the BNC connector needs to be rated for 4K 12G and the cable needs to be professionally terminated with the right tools. Ordio Cables have invested heavily in the right tools approved by the manufactures for the cable to be 4K compliant. Our 12G UHD Video Cable is backwards compatible for all SD-SDI applications. Please also consider our HD-SDI BNC cables for data rates less than 4k / 12G. With every Canare 4K 12G UHD Video Cable comes our lifetime warranty. Our warranty covers our workmanship on the assembly of each cable. The physical cable and connectors are covered under the standard manufactures warranty limited warranty terms. We are social butteflies at heart so please reach out and become a friend, like our page or simply kick back and follow us.